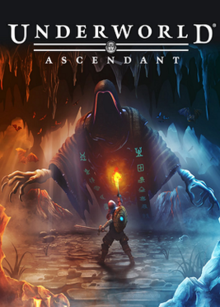 First-person action role-playing game UNDERWORLD ASCENDANT (505 Games/Otherside Entertainment) was released worldwide on November 15, 2018 for the PC/Steam platform. From Otherside Entertainment: "OtherSide Entertainment, which includes original creators of the ULTIMA UNDERWORLD series, is innovating upon the series’ signature player-authored gameplay in bold new ways. Return to The Stygian Abyss, a breathtaking fantasy realm, rife with danger and full of intrigue. Journey through the unfamiliar. Unlock your creative potential. Utilize your environment to stack the odds in your favor. Devise the ideal battle plan or dive in and think on your feet." Roles: Additional environment, weapon and character sound design/creation. 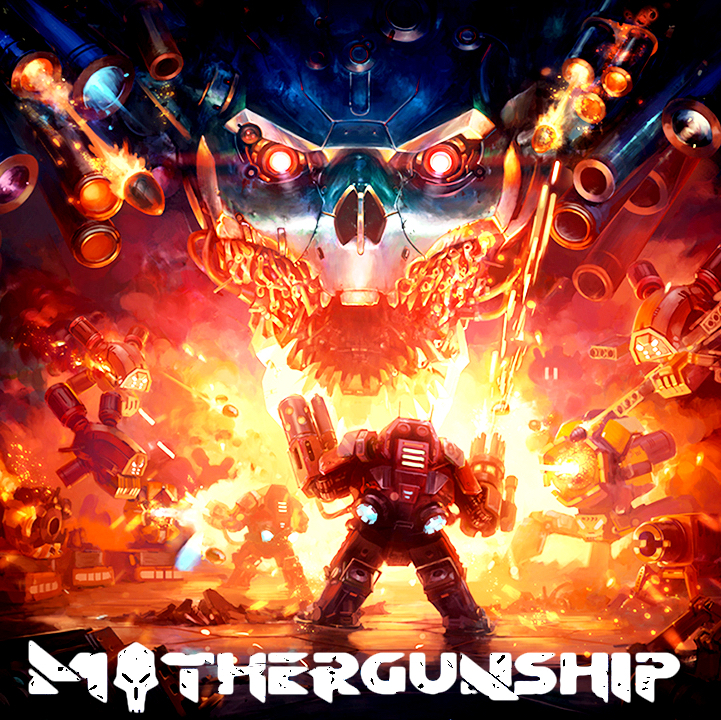 Bullet-hell first-person shooter MOTHERGUNSHIP (Grip Digital) was released worldwide today on PC/Steam/PlayStation 4/Xbox One. From Grip Digital: "MOTHERGUNSHIP is a bullet-hell FPS where you craft your own guns, play together with your friends, fight gigantic bosses and defeat a robotic alien armada that conquered Earth." Roles: Additional weapon and character sound design/creation. Voice acting (Joe OS). Composed, arranged, performed and produced two pieces of music for the "Resistance" trailer. VR action-tower-defense game UNDERWORLD OVERLORD (Google/Otherside Entertainment) was released worldwide on May 1, 2018 for the Oculus Go and Gear VR platforms. From Otherside Entertainment: "As a newly-undead Lich, protect your dungeon realm from brazen adventurers who attempt to rob your treasures and slay your precious monsters. As master of your domain, direct your monsters into the fray, place deadly traps, defenses and cast spells that help or hinder. Use strategy, brawn and trickery to thwart the heroes and preserve your subterranean rule. " Roles: Audio Director, Composer. Audio system design and implementation. Dialogue creation, post-processing and integration, Environment, weapon and character sound design/creation. and implementation. Composed and produced original score for both game and trailers. Trailer audio post and SFX creation. 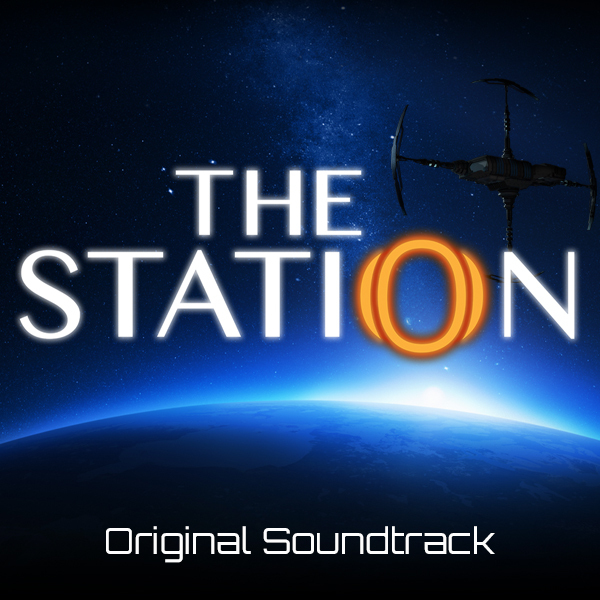 The original score to indie narrative-exploration game The Station(2018, PS4/XboxOne/Steam) was released worldwide today. Blurring the lines between ambient sound and underscore, the tense, powerful soundtrack relies heavily on synthetic texture and hyper-processed natural sound. Blockbuster mobile MOBA game "Honor Of Kings (Arena Of Valor/Kings Of Glory)" won the award for Best Music In A Casual/Social Game at the 14th Annual G.A.N.G. Awards, held on March 17th at the 2016 Game Developers Conference in San Francisco. Developers Tencent reached out to Duncan Watt to supply a variety of interactive music cues for the exciting, immersive PVE (Player Vs Environment) game mode, alongside soundtrack work from Hans Zimmer, Lorne Balfe, and Jeff Broadbent. From Tencent: Honor of Kings (Arena Of Valor/Kings Of Glory) is a type of MOBA mobile game, launching on the platform of Ipad and IPhone, using Wwise as game audio middleware, and Unity as the engine. The PCU has already reached 1 million, and the revenue ranks third in Grossing on the App Store. Users can experience 5v5 game mode with rapid rhythm and fast battle speed. Blockbuster mobile MOBA game "Honor Of Kings(Arena Of Valor/Kings Of Glory)" has been nominated for Best Music In A Casual/Social Game at the 14th Annual G.A.N.G. 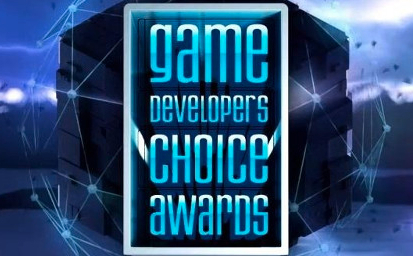 Awards, to be held on March 17th at the 2016 Game Developers Conference in San Francisco. Developers Tencent reached out to Duncan Watt to supply a variety of interactive music cues for the exciting, immersive PVE (Player Vs Environment) game mode, alongside soundtrack work from Hans Zimmer, Lorne Balfe, and Jeff Broadbent. 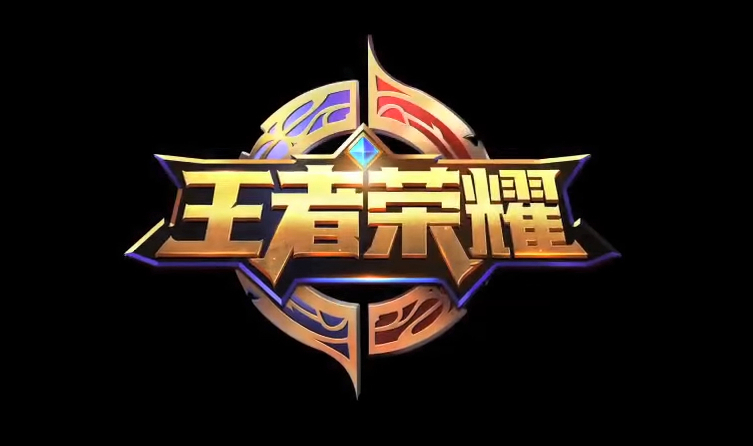 From Tencent: Honor of Kings(Arena Of Valor/Kings Of Glory) is a type of MOBA mobile game, launching on the platform of Ipad and IPhone, using Wwise as game audio middleware, and Unity as the engine. The PCU has already reached 1 million, and the revenue ranks third in Grossing on the App Store. Users can experience 5v5 game mode with rapid rhythm and fast battle speed. Disruptor Beam has released the teaser-trailer for the upcoming Star Trek Timelines. The team contracted Fastestmanintheworld to write, record and produce an original tribute to the iconic themes, and handle cinematic post for the trailer as well. From Disruptor Beam's website: "In Star Trek Timelines you will explore a massive galaxy on the web, iOS and Android devices. Based on your favorite Star Trek series and episodes from across all eras, you will be able to play alongside your friends and your favorite characters — solving conflicts using science, diplomacy, and battle". Role: Composed, recorded and performed original musical tribute theme. Provided cinematic post services. 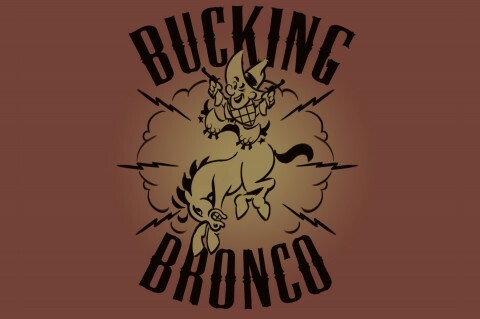 BioShock Infinite has been nominated for Best Soundtrack at the 2013 VGX Awards. The soundtrack features an arrangement and performance of Scott Joplin's "Solace", (featured prominently throughout the game) alongside Garry Schyman's orchestra underscore and works by Ken Levine, James Bonney and others. Fastestmanintheworld provided a wide variety of music for Infinite and its expansions "Clash In The Clouds" and "Burial At Sea", all of which have gone on to near-universal acclaim. Infinite has been nominated for a total of eight VGX awards, including Game Of The Year. Other nominees include"The Last Of Us", "Ni No Kuni" and "GTA V". The awards will be broadcast live Saturday, December 7th on Spike TV, and streamed across Xbox One, Xbox 360®, PlayStation®3 (PS3™), Twitch, iOS and Android devices. Additionally, the awards will be available globally on VGXLIVE.com, Hulu, Yahoo Screen, the Yahoo Screen app and Viacom properties Spike.com, ComedyCentral.com MTV.com, MTV2.com, BET.com and GameTrailers.com. VGX will be live streamed for three-hours on Saturday, December 7, beginning at 6:00 PM ET / 3:00 PM PT. Spike TV will also air highlights of the show as "VGX Replay" on Monday, December 9 at midnight. Hitpoint Studios released Fablewood, the latest in their series of high-end casual games (Disney Fairies Hidden Treasures, Seaside Hideway, Adera, Gun Bros.). A high-fantasy based town-building/hidden object hybrid, the game features an original score from Fastestmanintheworld, a fantastic art style, and deep gameplay for the genre.